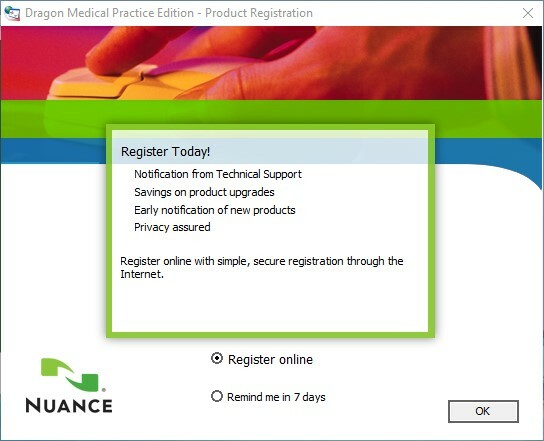 Although installing Dragon for Windows® is basically the same for all editions of the Nuance® software, there are some important details specific to the medical edition. 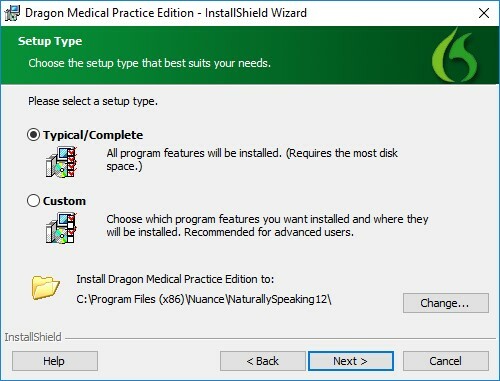 Your computer needs to meet or exceed these technical specs in order to install Dragon Medical. 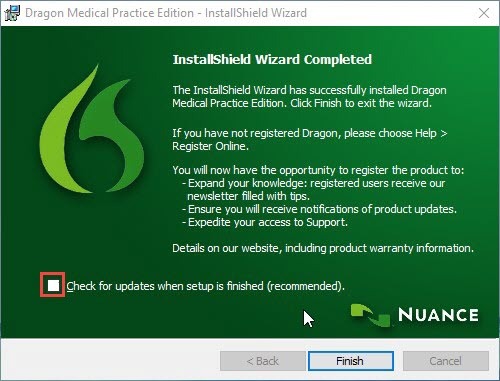 You need to be an administrator on your computer to install Dragon Medical. Please note that on different computer operating systems, the Dragon dictation software has different RAM requirements. 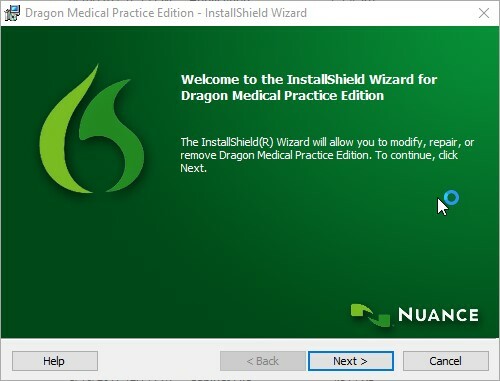 Our expert technicians will install Dragon for you while you see patients. We work quickly and can usually have everything ready in less than an hour. Click the button to get started. 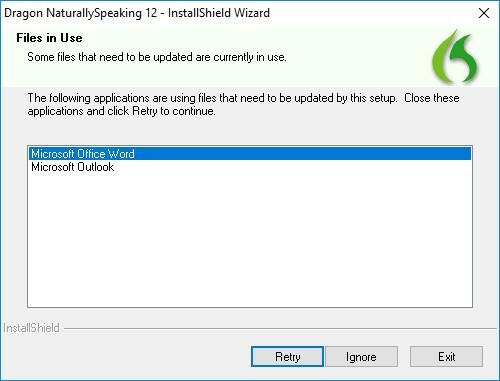 Before running “Setup.exe,” which starts the installation process, it’s best to either restart your computer or close out of all programs. Once you’re ready, choose your installation medium. An AutoPlay window will pop up, asking you if you want to run the installation. If it does not, open File Explorer and browse to the DVD, which is usually in the D drive. Open the DVD, find “Setup.exe,” and double-click it. 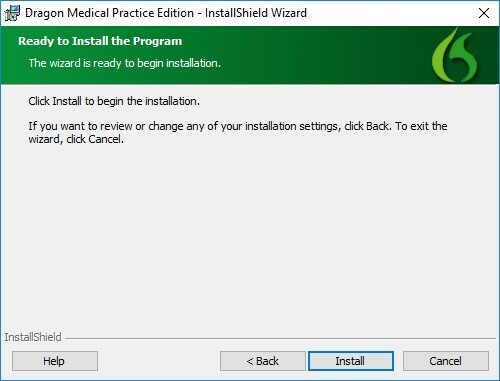 One the installation wizard launches, click the [Next] button. From the taskbar, open the program and use the “X” in the top right corner to close the window. With the programs closed, click on [Retry]. 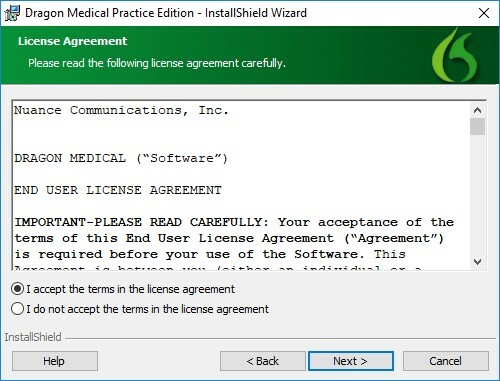 In the License Agreement window, click “I accept the terms” and then [Next]. 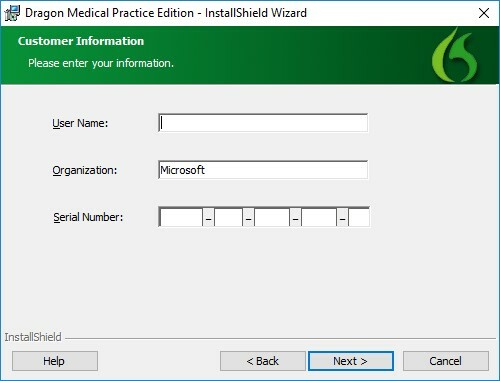 Enter your name, your practice or clinic’s name, and the serial number you were provided for the Dragon dictation software. Click [Next]. Choose “Typical/Complete” and click [Next]. Dragon will take a few minutes to install, depending on your computer and the speed of your optical drive. You may not see progress on the progress bar, but your machine is working to install the program. Once it has completed, uncheck “Check for updates” and click [Finish]. After installation, you’ll have the option to register your Dragon dictation software. You can wait for a week or take care of it immediately. Either way, we do recommend you complete registration, because it enables you to look up your serial number if you lose it. Once Dragon Naturally Speaking has been registered, please double-click the icon on your desktop. The Software Manager will pop up and ask you to download a software update. You need to install two updates, actually—and they must be installed in a specific order. Double-click the Dragon on your desktop. You are now ready to create your profile for Dragon voice-to-text. Once your profile has been created, you are ready to dictate! If you have problems saving your new Dragon Naturally Speaking profile, you may need to have these security permissions updated by your IT administrator.